Minnowbooster has become a lot stronger and will raise the limitssteemCreated with Sketch. Hey there, @reggaemuffin here with a quick update. We got a huge delegation that made our vote be 4 times what is was previously. That means we have to update our voting limits. We have plans to support smaller limits in the future with multiple accounts, but until that is in effect, mimimum Payment is 5SBD and the limits are 10 per day and 25 per week for now. We will review this over the next days and keep you updated. We are always looking to improve @minnowbooster and try to keep you up-to-date whenever something changes. If you have any suggestions about what we should change or add to @minnowbooster, then please write us a comment :) If you make a great suggestion and we implement it, you may even get rewarded with BUILDTEAM ... So make sure you include your Bitshares username with your suggestion! Don't have a Bitshares account? Create one here. We are purchasing 4500 SP for a month tomorrow when you log back on - can't wait to test this service out, we absolutely LOVE what you do for the SteemIt community @reggaemuffin and @thecryptodrive. Please upvote this comment so we can help our members grow faster! Is this why my rewards decreased by a factor of 4? Are you dividing the rewards by current delagators, that means that though this person's sp didn't generate any of the profit they are getting the rewards. Should level out after one week but still means I will be out around 35 SBD this week. i want to avail this but i cant afford it..
you can try my bot. Dear @lucasgabd.. I would like also to avail that but unfortunately, I cant.. I asked some people and they told me that my reputation will increase again when I get many upvotes!!.. Any else way?!! I have the pleasure to follow you..
That's a really good news! If this is for minnow, why it is too expensive? eventually this system will crash someday due to overload to upvotes daily user.. i think your voting power will down to zero very faster in the end. correct me if im wrong. dose that means 5 SBD, will get 15 SBD worth of upvote? That's Great, but it would be even better if the weekly limit was 35 SBD, which allow users to use the service on daily bases..
excited to use your service, great! I could use some votes. How do I send sbd? @jondoe, click on your wallet and then click on your Steem Dollars balance. You'll see an option to transfer. Should be self-explanatory after that. Ok thank you. I googled the subject as well. This is effective right now? It will deploy the next minutes. I had to react quick as 1SBD sends were giving users a loss. So as I understand ,one user can get 25 SBD worth of upvotes per week, right ? One user can pay 25 SBD per week and receive up to $75 in upvotes from it. Normally we are getting 8$ upvote now with 5 sbd. So need little more tweaking I guess. Voting power is currently down to almost 50%. So naturally, the upvote is not worth that much at the moment. It may be smart to wait a few days for most of the early birds to hit their limits and the bot to recover. One other suggestion, you should have an option, to say if we want your banner or not. So if we do not, then you just upvote without saying that in the post. May be you can send a note saying how much you upvoted if you really want to do that. We have that option already, it is called stealthvote. You send an S and a space before your post url and no banner is shown. But these votes are a bit more expensive to combat fraud. Thank you, finally it is clear to me how that feature works. You might want to update the intro post, or the web page, to indicate that's how it's done. Thanks! Sadly we can't edit the old posts and have to repost it. And we don't want to overdo that. But with the limits change we will have to anyways. Can you explain how its expensive , like if I do ask for a 5 SBD with and without that option, how it would work ? It works like this: If minnowbooster's power is 100%, a regular minnowbooster vote will be worth about 3 times what you paid. 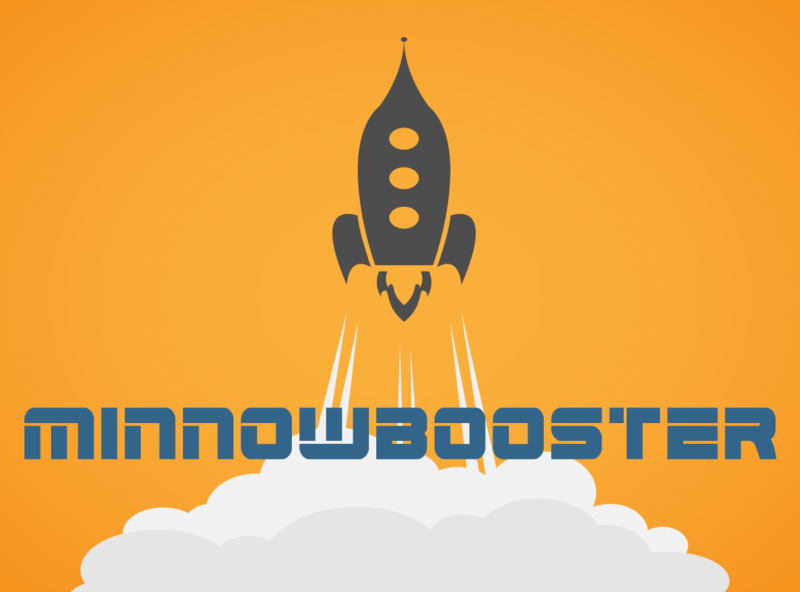 A stealth minnowbooster vote would be worth about 2 times what you paid at 100% Votepower. Check minnowbooster.net for more information. It also states there the worth the votes will be per SBD you send to minnowbooster. The stealth vote will yield you a vote worth 1/3th less than a regular vote yields you. It is indeed all about commitment. I hope this article will reach thousands of steemians. 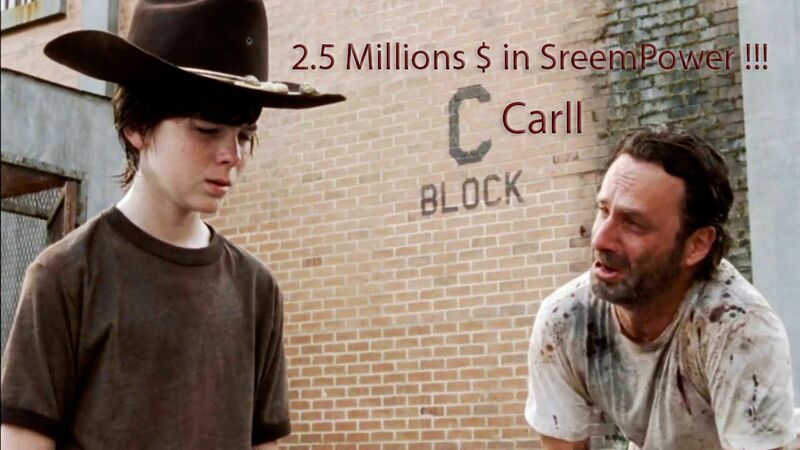 First of all, congratulations on acquiring millions of steems and for this great offer. If possible, please make another account that can actually uplift good post with extra bonus with curating by humans or a bot with AI/ML capability (can understand languages or words), say one will send 5 sbd (that means he/she is serious about the post), if it is very good content he/she will receive 20sbd vote, if it is just OK he/she will receive minimum vote say, 8 sbd. I did a research on types of upvote, their advantages & disadvantages, challenges surrounding them etc. Allowing multiple accounts is on our Roadmap. 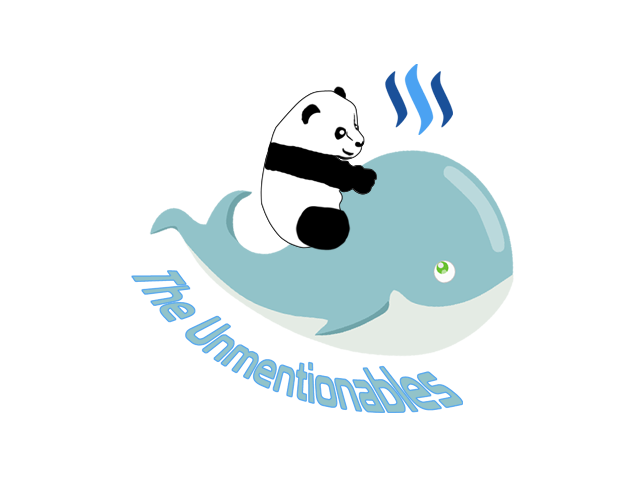 We want it to be safe and as predictable as possible so probably no randowhale bot. I am glad that your project is thriving because that means that minnows will have a better chance to be noticed! I have one suggestion: I suggest you lower your minimum to 1 SBD or even 0.5. After all this project is a minnows booster project, and not all minnows are able to pay 5 SBD. Sadly that ot not possible with tge way steem works. When our 1% vote is worth too much we can't just give you 3 dollars for 0.1sbd and we can't vote smaller. We can wait a little bit until you find a solution. BTW, I love the extended limits. Thanks a lot and best wishes. That's cool, how much upvote should we expect on sending a minimum 5 SBD's per day? Not sure if I understand correct the info but if i delegate you my 100 Steem Power how much i will get back ? It's around 1 steem per week ? We currently have a 24% APR on the market, that is roughly one steem every two weeks. Yeah we are working on a solution to allow smaller sends again. We just have to ensure it works before we release it. And the sudden spike in SP has to be handled. I am little bit dissapointed. Because as a small fish, it is pretty hard to get an attention if you do not promote yourself. But with 1sbd. you could at least be paid dollar or two. When they went from 0.1 to 0.5 minimum I mentioned that it shuts out minnows and RM said they were working on a solution. These things take time because there are a lot of hidden complexities. Exactly. It is really easy currently with only one account. Having multiple accounts means many problems, managing multiple voting power and finding the best account to vote with is a hard problem. I'd say I am 60% done with it and hope to have it ready in the next weeks. I haven't done any programming on the Steemit platform, but: might it be easier to have a single account that does the upvoting, and the other accounts delegate SP to it? Just curious, thanks for the hard work! Problem is, we can't vote with under 1% voting power (because steem converts it into a 1% vote by rounding up). So our plan is to have multiple smaller accounts that get used for small sends and bigger accounts for bigger sends. The exact details are still being worked on. Actually upon re-reading your comment, the gears started turning; I believe the voting power is the variable I hadn't been considering when I wrote my previous comment. Delegate in rounds? For instance, with 5 bots, A through E, every bot delegates to A, then A votes until voting power is depleted to some threshold (perhaps 50%, I'm not really sure though). Then, everyone delegates to B -- or, to whichever of B through E which has the highest voting power -- and vote as requested, again until a voting power threshold. Then just keep repeating the previous paragraph. Perhaps add in "sleep time" if necessary for all to recharge -- or, bring more bots on-line if voting power is depleting too quickly. Voting power is currently not the problem :) Also remember that delegations take one week to get back to the person to prevent exactly this delegation cycling. The problem is too small votes. At one point 0.01% voting power is worth a dollar, what do you do then? vote everyone sending 0.1SBD up with $1? That would cost too much. So we plan to have multiple accounts for different price ranges. A way to think about this is that you recharge VP at 20% per day. It takes 5 days to recharge 100% VP. But, when you undelegate SP, it takes 7 days to become available again. This is desirable behaviour otherwise we can make an upvote circle as you described. Thank you! That makes a lot of sense -- delegate/undelegate takes longer to "recharge" than voting down to 0% would. Glad that potential loophole was plugged! Good to know the timeframe. I might have some more crypto free to help charge up the new bots in a similar timeframe. Well currently if you pay 1SBD you get a $1 vote. And that would not be fair in my opinion. And since there are some problems with how steem handles voting, we can't vote exactly what it is worth. This is awesome news - but I'm not sure I agree with the way you're utilizing the new vp. Although I like being able to spend 5sbd and get a major visibility boost, many users wont be able to consistently afford that. It seema like a better use of the vp to figure out a voting percentage that works within the old payment structure. The result would be keeping the service open to all the smaller minnows while massively expanding the number of nearer 100 vp votes minnowbooster could make. Do you have someone who translates @minnowbooster's publications into Spanish? I would love to take care of that! Please contact me on discord so I can proofread your post! I will take your word @reggaemuffin! I will translate the article and I will pass it by discord so that I can verify it and correct it if necessary! Congrats on obtaining your huge delegation in order to increase your vote, I wish I could afford it, but 5 SBD is little too rich for me, I will have to wait for when you launch the smaller amount. Don't be mistaken, am grateful - thank you for your assistance all this while - it's a good thing you do. Keep on steeming! The @OriginalWorks bot has determined this post by @minnowbooster to be original material and upvoted it! To nominate this post for the daily RESTEEM contest, upvote this comment! The user with the most upvotes on their @OriginalWorks comment will win! hmmm... thinking of trying this one.. is it worth it?? u can try out my bot if u think its too much for you. But wont the Voting Power go down a lot faster now with the minimum 5% votes? Personally I would prefer to be able to vote more with smaller fee and smaller % but more than 5 times a week. Curious to see how it will work now. Understood :) But with the big votes you are not worried the Voting power will run down faster than before? Well, with our increased delegation a 5 sbd send is the same as previously a one sbd send was so voting power should stay similar. So if now the single vote % is bigger - 5% (or 10%) doesn't that mean that your Voting Power will go down faster? So the minimum we can send is 5.0 SBD? And that can only be done 5 times a week for a total of 25.0 SBD sent weekly? Exactly. Each day you can spend up to 10SBD and 25 a week. Congratulations on winning the daily @OriginalWorks resteem contest! $5? What happened to $1? Ugh, too rich for my blood. Good luck to you, sir or madame. We had to raise it as there is a minimum amount we have to vote with in the steem system. Interesting. Now that I have begun to post, I am reviewing these types of programs to determine if they are worthwhile. I am hesitant for two basic reasons: 1) I'm not convinced that the benefit is great enough to engage with, and 2) I don't want to create an unattractive trail in the comments that might be a turn-off for folks who might otherwise read and leave a comment. I suggest trying it out. With minnowbooster there is nothing you can do wrong because it will give you profit guaranteed (you can see how much at our website). we can lease sp? .. well that's interesting! I guess I will have to check your youtube channel guys. First time I'm doing it after reading your post. Should I wait for the reward or there are any action to take to go further? First payment of 0.001$ ... For Real ? You get payed daily and keep your 5$ so I think it is not a bad trade. Also remember that 5$ is not much and therefore subject to rounding issues. I am not sure if you invested 5 STEEM or 5SP delegation. But in both cases as long as you want. We use it to upvote our customers and give you back the revenue. Once you want your SP back you tell us and get it back in full. It is like curation rewards basically ? If everyday I put 5$ (25$ limit per week) it means the curation reward will grow too? But I still hold that money and can withdraw it whenever I want correct? Exactly, like curation but a better return. You can btw delegate as much as you want to the bot, no limits there. The limits are for buying upvotes from the bot. With delegation, the steem power is ensured by the blockchain and you can withdraw it anytime (and we cannot steal it). Remember that it takes the blockchain 7 days to give you your steem power back. C'mon, minimum is 5SBD! Dont loose your focus,the aim is defeated already.We wouldnt be minnows if we had 5SBD to spare per post! We are working on a solution for this, sadly allowing less would mean you or we loose a lot of money money with how steem currently works. You are growing very fast! I dont have 5 sbd now, I reinvest it all into steem power! Thank you. I upvoted and resteemed! My humble suggestion would be to create another minnowbooster account which gives upvotes for 1 sbd as most minnows don't have 5 sbd right now to request for votes! This is great news! ! ! It seems the past few day the divided also join the fud party. oh. nice. didn't know about the new minimum amount and sent 2 posts for upvotes. it was a 1 sbd bid. should I just wait and it'll come back as well? is @minnowbooster running 24/7 or you take pauses like @randowhale ? So far we hardly ever pause our service, we just adjust our voting power. We will have improvements soon, the service is always good to use or invest in, both now and in future. Hi, my daily reward seems to have been cut down to about 25% of what it was. I noticed in the beginning of this post you mention that the voting had been quadrupled, and was just curious whether my reward going down to 1/4 was related to the voting going up by 4x? I've delegated just over 10k SP, and was getting about 7 per day for several days (just got started). The past couple days it's been 1.7 and 2.7 SP. So the 1/4 was really two days ago, yesterday was around 40% of what I had been getting prior. Hey, glad you like the service and thanks for delegating the 10K SP!! The reason you are experiencing a lower return is because you are now a smaller prorata stakeholder in the bot delegation pool than you were previously, the large delegator is now the biggest stakeholder in the bot rewards pool. The increased demand for the bot may increase its profitability over time as more people start paying for the service, however we will be rolling out auxillary bots, when we do, I suggest redirecting your delegation to one of them so you can be one of the largest delegators and earn a bigger share of the rewards. We are working on a solution, keep watching this blog! What will happen if you have ton of steemitian to upvote and you voting power not enough to support all supporter that need an upvote fast for new post? Never fear, we are a team of passionate professionals, developers, and thought leaders, we are always working on improvements and solutions. We are working on something! Maybe they should let minnowbooster get some rest so they can get back higher values ​​of voting power and make a much better use of this update! We will see about that in a bit :) Most likely many users want to try out the new limits so the next days recovery is easier with many limits hit. You surprise me, I sincerely congratulate you! I would like to be able to support from this humble position these types of projects! 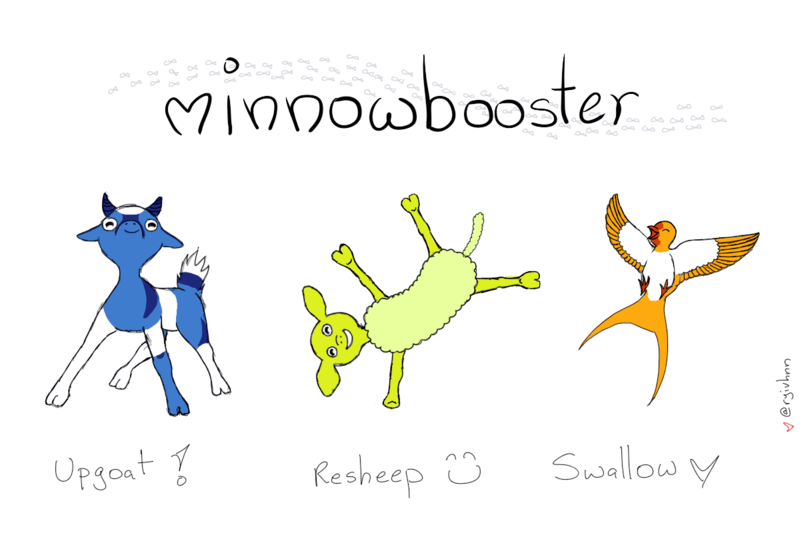 really what @minnowbooster offers is great! Glad to use your service, great! @minnowbooster yeah! Why I have never considered that until eventually now. Tend to be the animals immortal in advance of male fully commited sin???. @minnowbooster A great deal details thanks for sharing. Like it.. This post has received a 0.83 % upvote from @khoa thanks to: @khoa. I m so so happy ! great news.I used you daily(5 days a week) and i try for 5 sbd it is wonderful! @minnowbooster Very well performed for sticking at it! It's really a new technique for lifetime therefore you are modern-day pioneers. Adore it..
Much better and much appreciated! Service is great,just one question: How to undelegate steem power that is delegated to bot? I dont see any button for that,or I am wrong? hello, congrats for the good work, i have delegate 256 steem , and know after 1 month i want to undelegate . How i will do it?